Movies have been leveraged as a successful tool to boost brand awareness for decades. Over the years there have been several ways filmmakers and brand marketers have collaborated. Our friends at WatchMojo.com put together a compilation of successful brand integration scenes in many of America’s popular movies. For this sci-fi classic, the Nokia phone was featured as the device du jour used to bounce in and out of the artificially generated reality. Truly the ultimate virtual reality hack device. At the time, it was an impressive phone with advanced features, but best of all it made you look like you were part of something special taking a momentous call. If the threat of losing an eyeball wasn’t enough to dissuade little Ralphie Parker from lusting after an official Red Ryder carbine action, 200-shot, range model air rifle for Christmas, then it certainly wasn’t going to stop kids in the audience. Even if guns weren’t your thing, after watching the movie you probably wanted a Red Ryder BB gun for years to come. Chevrolet launched the newly redesigned Camaro as a primary character, Bumble Bee, in the popular Transformers movie franchise. After being featured in the film, sales of the sporty car skyrocketed. Creating a new generation of Camaro enthusiasts. White Castle became an integral character and driving force in this movie franchise. Making this brand integration ingenious. The brand integration produced a double-digit rise in burger sales during the months the film was in release according to Forbes. The plot line of the movie involved two stoned over-achievers as they take a hilarious adventure in seek of satiating their White Castle cravings. The burger joint subsequently saw a dramatic increase in sales for months after the release of the film. Never underestimate the buying power of blazed out college kids. Prior to the film’s release, American audiences may not have been familiar with the popularity of the Mini Cooper cars overseas. However, after the 2003 remake these retro inspired, BMW manufactured, vehicles which were integrated into the movie plot made them stars in their own right. The brand integration became a significant contributor to launching brand appeal. The Cast Away storyline leaves a Fed-Ex worker, who survives a plane crash, stranded on a deserted island. And believe it or not, it was actually positive PR for the courier service. Even so, Wilson Sporting Goods made out even better when Tom Hank’s character fashioned his best friend out of a volleyball. The storyline integration ends up advertising a sporting goods company without it being annoying. 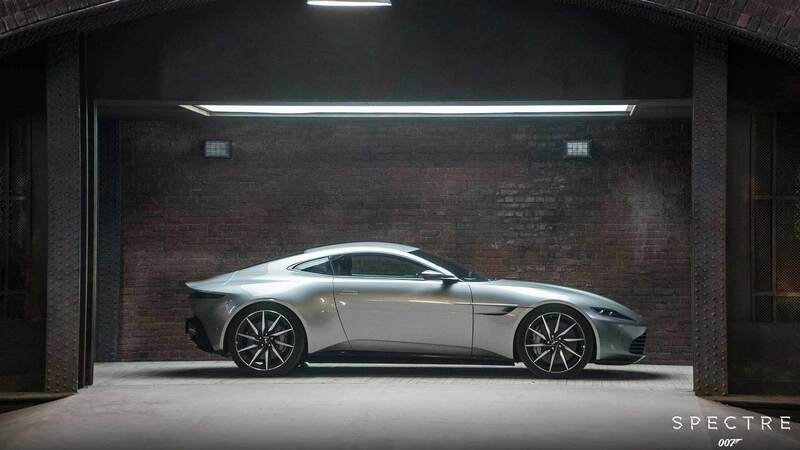 From luxury watches, to fine suits, to high-tech sports cars; the James Bond franchise has defined luxury brands for decades. Aligning your brand with a sophisticated character like 007 has outperformed marketer expectations for generations. What advertiser wouldn’t want that? Nothing screams ‘I want to be a fighter pilot’ more than a bomber jacket and a pair of aviator sunglasses. Especially, since they were wisely included in this Tom Cruise classic. The actor had already boosted sales for the sunglass maker years earlier with Risky Business. But Top Gun boosted sales of the brand this time by 44% in just 7 months. However, no institution saw a bigger marketing boost than the U.S. Navy which saw a 500% increase in recruitment. Now that meets the definition of need for speed. Chocolate covered candies and aliens don’t necessarily go hand in hand. But, you’ve got to use something special to lure a shy extra-terrestrial. The role of this sweet bribe was originally supposed to go to M&M’s, but they declined for unknown reasons. This allowed a relatively new product (Reese’s Pieces) to pick up the win. Some reports say the brand saw an 85% increase in sales in the wake of the film’s success. According to Forbes, Reese’s Pieces sales shot up 65% in the first two weeks after the movie hit the theaters. If you want to know how ideas spread, you can learn a lot from a little alien. Back to the Future was notable for a number of reasons: creativity, fun adventure and an spellbinding plot. But one of the distinctive things that stood out to audiences was the futuristic vehicle at the center of the time traveling adventure. Even to this day, Back to the Future reruns makes this car one of the most sought after vehicles in the world. Those are impressive results that continue to pay dividends. According to WSJ, the success of the movie has resulted in a new DeLorean coming soon.